Author's Note: All image credit goes to Boeing's unless otherwise specified. After its loss to Lockheed Martin in the Joint Strike Fighter competition in 2001, Boeing set out to upgrade its existing 4th generation platforms (e.g. F-15E and F/A-18E) to compete against the F-35. Boeing’s marketing strategy is to emphasize the low developmental and financial risk of its aircraft relative to the F-35 (Roger Besancenez , 2012). Boeing argues that its method of gradually adding capabilities to its aircraft ensures the high reliability, timely delivery, and the relatively low cost of its aircraft. Boeing's strategy of evolutionary improvement caters to countries who favor upgrading their existing aircraft over purchasing new aircraft; defense budgets among Western armed forces are by in large either shrinking or staying the same (Gerard O'dwyer, 2013). Boeing executives know the Lockheed F-35 will be the premier Western fighter aircraft a decade from now as the F-35 is the only export available 5th generation aircraft accessible to Western countries for the foreseeable future. Consequently, Boeing has a limited time frame to secure orders for its own 4.5 generation aircraft. In order to ensure long-term profits, Boeing does not need to consistently defeat the F-35 in every major contract abroad. As long as Boeing can reduce the number of F-35 orders by marketing its aircraft as low risk interim gap fillers, Boeing will continue to profit for the foreseeable future thanks to its incremental upgrade approach. Boeing’s efforts to market its aircraft as interim gap fillers have already born fruit in Australia (and possibly Singapore). 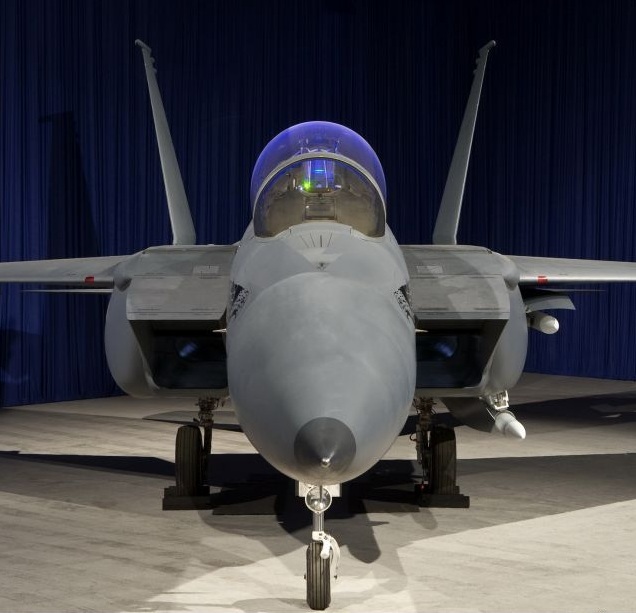 Although both nations are firmly committed to the F-35, the order of new Super Hornets and Growlers (and possibly new strike eagles for Singapore) will almost certainly reduce the number of F-35s originally planned by both governments. The F-15SE (silent eagle) is the latest design adaptation of the base strike eagle configuration originally developed in the 1980s. The strike eagle was envisioned as a replacement to the swept wing F-111 Aardvark. 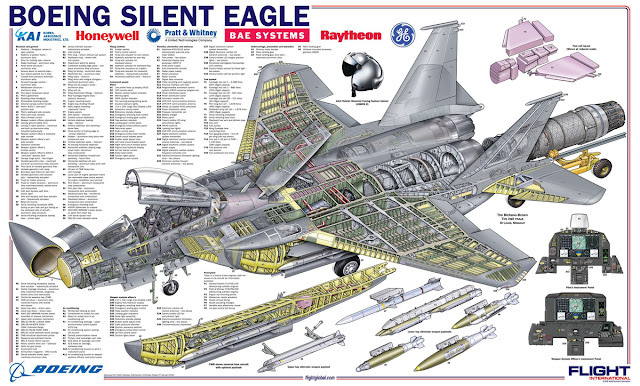 The concept of the strike eagle was to design an aircraft that could fight its way to the target, destroy the target, and defend itself on the return journey if need be (Al Adcock, 2002). The original F-15B from which the F-15E was developed was intended to serve as an air superiority fighter, not a bomber. The famous design philosophy of the McDonald Douglas (later bought by Boeing in 1997) team was “not a pound for air-to ground” when designing the original eagle. Several modifications were made to the base F-15B to transform it to the strike eagle: the engine inlets were altered from -11 degrees to +4 degrees (optimize airflow), conformal fuel tanks were added, the cockpit displays in both the front and rear were upgraded, the airframe was strengthened to allow for a maximum take-off weight of 81,000 pounds, additional weapon stations were added along the conformal fuel tanks, a new powerful APG-70 radar system was installed, Low-Altitude Navigation and Targeting Infrared for Night (LANTIRN) pods were fitted, Forward-Looking Infrared (FLIR) sensors were equipped and a Weapon System Officer (WSO) station was added in the rear seat (Al Adcock, 2002). Strike Eagles first saw combat in Desert Storm and were responsible for hundreds of truck, armored vehicle tank, and scud missile launcher kills. Since its combat debut in Desert Storm, strike eagles have served in US combat operations in Kosovo, Afghanistan, Iraq, Libya and covert missions in Yemen. The proven combat record of the strike eagle enabled Boeing to win numerous contracts abroad including: Israel, Saudi Arabia, South Korea, and Singapore. In total, roughly 400 strike eagles of all variants have been produced. Promotional video for the Boeing F-15SE made by Inhance digital. If there is one area were the F-15SE definitively beats the F-35, it's marketing videos. F-15SE cutaway, all image credit to Flight Global. Keeping in line with Boeing’s doctrine of incremental improvement, the Silent Eagle builds upon many of the improvements equipped in prior strike eagle variants. Boeing began the development of the silent eagle in 2008 and unveiled its original concept in 2009. The most recent strike eagle contract, the $29.4 billion Saudi deal for 85 advanced F-15SA aircraft and retrofit of 70 existing F-15S aircraft, afforded Boeing some leeway in terms of securing funding for research and development of additional strike eagle upgrades. Additional upgrades derived from the F-15SA include two new wing weapon stations and a digital fly-by- wire system. The silent eagle also benefited from a number of programs to augment existing strike eagles undertaken either by the USAF or by foreign customers. These programs ensured that advanced existing systems could be easily incorporated into the silent eagle design without having to develop new systems. For example, the USAF launched the Radar Modernization Program (RMP) which spawned the highly capable 1,500 transmit receive (TR) module APG-82 AESA radar. The APG-63(v)3 AESA is also part of the USAF's initiative to add AESA capability to existing 4th generation aircraft such as the F-15C. South Korea and Singapore chose the APG-63(v)3 for their strike eagle variants. Boeing has not yet officially indicated as to what radar system the F-15SE will incorporate but either the APG-63(v)3 AESA or the APG-82 AESA radar will be featured in the F-15SE. Before the F-15SE’s stealth characteristics can be examined in detail, it is worth reviewing what stealth is and what stealth is not. Stealth for an aircraft is determined by an aircraft’s relative detectability across several spectrums e.g. radar cross section (rcs), infrared (IR) signature, electronic emissions, etc. Radar is the primary means to detect other aircraft but all of the aforementioned signatures must be reduced in order to achieve true all aspect stealth. It’s also worth noting that the degree of “stealthiness” varies considerably among aircraft that qualify for the stealth designation. For example, the F-22A Raptor has an rcs of .0001m^2 (Global Security, 2011) compared to the F-117A Night Hawk with an rcs of .025m^ft2 (Richardson, 2001). Although the difference might seem minute at first glance, the Raptor has a radar signature 250 times smaller than the F-117. It’s also worth noting that even very low observable aircraft, like the F-22, are not completely invisible to radar and other detection methods. To put it simply, very low observable aircraft tend to be only visible at short ranges and the stealthier an aircraft is, the closer it can to a radar source without being detected. 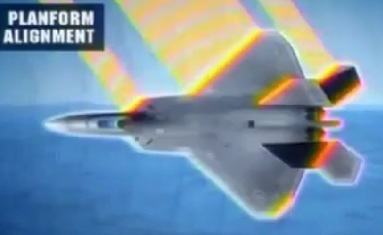 All aspect stealth aircraft, such as the F-35 and F-22, utilize a combination of shaping techniques (planform alignment) and radar absorbent material (RAM) coatings to reduce their radar cross section. Planform alignment is a technique for reducing an aircraft’s radar cross section by orienting all the flight surfaces of the aircraft at the same angles. Although RAM coatings are important, shaping techniques have a larger impact on reducing an airframe's overall rcs. Unlike the F-22 and F-35, the F-15SE did not benefit from meticulous platform alignment shaping from the onset and relies primarily upon RAM coatings to reduce its radar signature. Stealth is a trait that is designed into the aircraft from its inception and cannot simply be added in latter on a defense contractor’s whim. Prior to the silent eagle, no 4th generation aircraft had ever qualified for the low observable frontal radar cross section designation. The F-15SE design features 15 degree oriented canted tails which produce lower radar returns when compared to the F-15E’s original vertical tails. 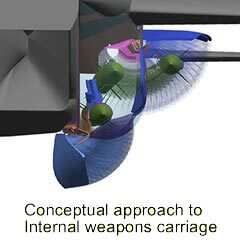 All stealth aircraft have internal weapon bays; storage of weapons on conventional outer wing pylons would compromise the airframe’s stealth qualities. Boeing’s engineers ingeniously modified the existing conformal fuel tanks to carry weapons. Depending upon the desired ordinance, the fuel tanks are partially drained to allow for weapons storage. The lack of externally stored weapons also reduces drag increasing the already impressive aerodynamic performance of the strike eagle. The combination of RAM, weapon bays, and canted tails grants the F-15SE a reduced frontal radar cross section; the side and rear aspects remain unstealthy and produce significant radar returns given the lack of shaping techniques. The exact size of the F-15SE’s rcs has not been released to the general public. It is plausible to assume the F-15SE qualifies for at least the low observable (0.1-.01m^2) designation which is necessary to qualify F-15SE as a stealth aircraft. Boeing initially claimed the silent eagle was as stealthy as the Lockheed Martin F-35 but Boeing has subsequently recanted its view. To provide some perspective, the F-35 is cited to have a frontal radar cross section of .0015m^2 (Global Security, 2011) and the standard eagle has a frontal rcs of 5.0m^2. My assessment is that the silent eagle has a radar signature larger than that of the original F-117A Nighthawk (.025m^2) but not larger than the upper bound .1m^2 figure for low observable aircraft. Thus, I would estimate a figure between .025m^2 and 0.1m^2. For the sake of simplicity, for the rest of the series the figure .05m^2 for the front aspect will be used but please note this is merely my own estimation and .05m^2 is not an official figure from Boeing. The use of .05m^2 is merely intended to provide perspective relative to other stealth aircraft and some basis for analyzing the potential air defense penetration capabilities of the F-15SE. The F-15SE does not feature S-shaped air inlets, divertless supersonic inlets (DSI), or radar grill/mesh panels (e.g. F-117 and RQ-170) to shield its engine fan blades from possible radar returns. All previous conventional stealth aircraft put into service such as the F-22A, F-35, B-2, F-117A, and RQ-170 shield the face of the engine from radar returns. Lack of planform alignment in the design, shaping contributes more towards stealth than RAM. The F-117A Nighthawk is likely stealthier than the F-15SE as it was designed from the onset to be a stealth airframe but the primitive shaping techniques and RAM resulted in a comparatively larger rcs when compared to more advanced low observable airframes such as the F-22A. Of the rcs signatures of known stealth aircraft, the closest “fit” in terms of approximate rcs size to the F-15SE is likely the F-117A. 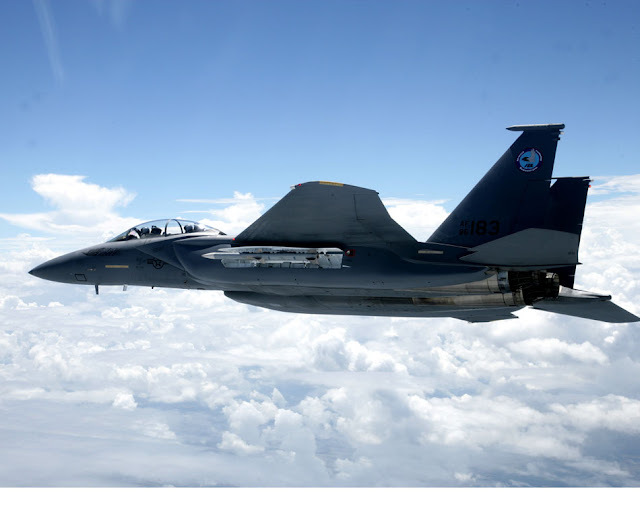 In the F-15SE’s IR signature has not been significantly altered from the base strike eagle. Stealth aircraft typically incorporate design features to minimize the aircraft's IR signature. The F-22A utilizes specially shaped engine nozzles to reduce its IR signature while the F-35 utilizes a combination of ceramic material coatings on the engine nozzle and heat sinks to reduce its IR signature. The shape of the engine nozzles on the F-15SE remains unchanged and no heat sinks have been added. It can be argued that an aircraft’s IR signature is less important than its radar cross section as even the most capable infrared search and track (IRST) systems have a relatively short range when compared to high power fighter radars. For example, the PIRATE IRST system equipped in the Eurofighter Typhoon can detect a fighter aircraft at 27 nautical miles compared to the AN/APG-77 actively scanned electronic array radar on the F-22 which can detect fighter sized targets from over 120 + nautical miles away. This is not to say IR signature reduce has no benefits; a reduced IR signature would reduce the effective range of an IRST and the range of enemy IR guided missiles. An often overlooked aspect of stealth is an aircraft's electronic signature. Several types of electronic emissions originating from either the aircraft's communication system or its radar can potentially betray its location to the enemy. Unfortunately the topic of electronic emissions is exceedingly dull (it will put most people to sleep), very complicated, and a lot of information is classified so to simplify things two types of systems will be examined: emission locator systems and radar warning receivers (RWR). Both types of systems are passive detection methods that could potentially locate an aircraft. Emission locator systems can, under the right circumstances, identify the origin of enemy communication signals while RWR can detect the emission source for radars. In terms of electronic emissions, the F-15SE does not incorporate a specialized minimally detectable communication system. The F-15SE uses the standard link-16 system in addition to the standard AN/ARC-164 HAVE QUICK II radio system. These systems are generally regarded to provide secure jam resistant communication but their emissions are detectable by emitter locator systems such as the KRTP-86 Tamara. Emission locator systems have many limitations but emission locator systems could provide a type of early warning system for other IADS assets. Using emission locator systems to directly provide targeting information for a surface to air missile presents several challenges. Multiple emission locators would be needed to provide accurate targeting information and the source of emission might be continuous meaning under the best of circumstances, only midcourse guidance updates could be provided. This is not foolproof technique as any midcourse guidance signal could be potentially jammed by the aircraft being targeted. The literature/source material on North Korean emission locator systems is non-existent and the author deems it to be exceedingly improbable that North Korea could construct a capable network of emission locator systems to bolster its IADS. However, it is well within the means of China to design an emission locator system (e.g. CETC YLC-20). A helpful metaphor for understanding how RWRs work is imaging how easy it is to spot someone using a flashlight in a dark lit room (the flash light being the radar). Radar warning receivers were first widely used in combat over Vietnam by US forces and have subsequently become a standard sensor featured on almost all modern fighter aircraft worldwide. Since Vietnam, the sophistication and sensitivity of RWR systems has increased by several magnitudes. Once the RWR detects an enemy radar, the information can be used by the fighter aircraft's own radar to search for the source of emissions provided the source is close enough. The F-22A's ALR-94 is the pinnacle of fighter equipped RWR technology and can detect radar emissions from 250 nautical miles away (Bill Sweetman, 2000). The most modern AESA radars feature a low probability intercept mode (LPI) to minimize the chances of detection via RWR. LPI works by ensuring the bare minimum amount of energy is utilized by the radar to illuminate a target; the technique LPI modes use to lower the probability of detection is called emission control principles. At close ranges the ALR-94 can provide targeting information for missile shots while in narrowband interleaved search and track (NBILST) mode. A lot of information on NBILST is classified and it is unclear how well (if at all) software and areospace firms outside the US have developed a similar capability. It is clear that North Korea's RWR technology is notably less advanced than the F-22's ALR-94. The most advanced aircraft in the Korth Korean Air Force, the Mig-29B, features downgraded avionics suite of the original Soviet Mig-29A (equipped with a SPO-15 Beryoza RWR). The West obtained several Mig-29A aircraft after the dissolution of East Germany and its avionics package was deemed to be notably inferior to its western counterparts by Luftwaffe pilots. "The only possible missions for NATO’s MiG-29s are as adversary threat aircraft for air combat training, for point defence, and as wing (not lead!) in Mixed Fighter Force Operations. But even then I would still consider the onboard systems too limited, especially the radar, the radar warning receiver, and the navigation system as well as the lack of fuel. These drive the problems we face in tactical scenarios. We suffer from poor presentation of the radar information (which leads to poor situational awareness and identification problems), short BVR weapons range, a bad navigation system and short on- station times." The winner of the F-X III probably doesn't have to worry a great deal about North Korean RWRs. As with emission locator systems, China is far more capable than North Korea. Any attempted incursion by stealth aircraft into China would need an LPI mode for their radar system. The F-15SE will be fitted with either the Raytheon APG-63(V)3 or the APG-82(V)1 AESA radar. Both are highly capable radar systems and likely feature a LPI mode [no reliable source could be found to confirm or deny LPI in either the APG-63(V)3 or the APG-82(V)1]. It is exceeding likely that both radars feature LPI given that the original Raytheon APG-70 currently used by the F-15E is LPI capable (FL Taboada, 2002). The design philosophy of the strike eagle put a premium on accurately delivering tons of heavy ordinance on target. To that end, McDonald Douglas engineers were remarkably successful. The strike eagle can carry an impressive 24,250 pounds (10,999.8 KG) of externally carried ordinance. To provide some perspective, an empty configuration F-16C Block 50/52+ weighs only 18,238 pounds...(Lt. Carl Krittenden, 2013). Here is the complete $823 million dollar weapons package requested by South Korea (assuming the silent eagle is chosen) provided by the US Defense Security Cooperation Agency (DSCA). 780 JDAM Tail Kits, MK-82/BLU-111 KMU572C/B (GBU-38) w/SAASM/AJ. In English: 500 pound version with jam-resistant GPS guidance. 170 BLU-117 2,000 pound General Purpose Bombs. 170 JDAM Tail Kits, MK-84/BLU-117 KMU-556C/B (GBU-31) w/SAASM/AJ. 2,000 pound version with jam-resistant GPS guidance. 362 BLU-109 2,000 pound Penetrator bombs, for use against hardened targets. It adds up to 532 2,000 pound bombs in this request. 362 Joint Directed Attack Munition (JDAM) Tail Kits, BLU-109/KMU-557C/B (GBU-31) w/SAASM/AJ. 2,000 pound penetrator version with jam-resistant GPS guidance. 780 GBU-12 Paveway II 500 pound laser-guided bombs. Instead of the GPS-guided JDAMs. 530 BLU-109 2,000 pound Penetrator bombs, for use against hardened targets. The F-35A can carry a 2,000 pound bomb and an AMRAAM missile in each of its 2 weapon bays. Maximum impact is best against the kind of tough targets they’d attack. 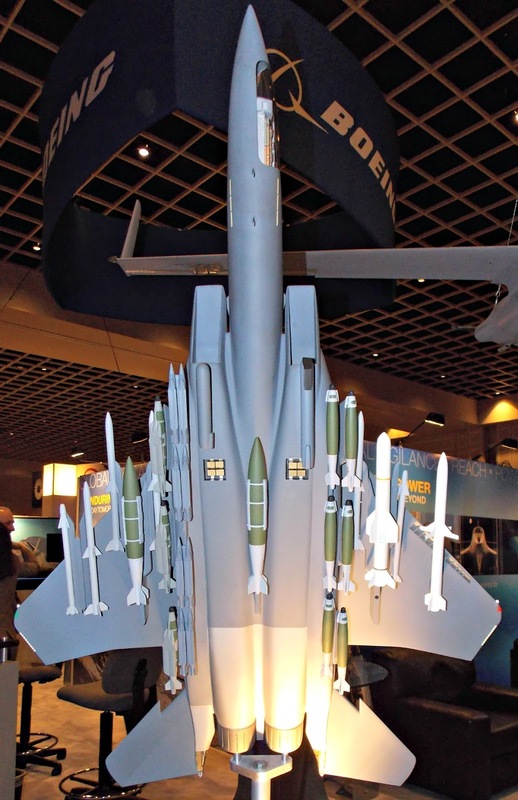 530 Joint Directed Attack Munition (JDAM) Tail Kits, BLU-109/KMU-557C/B (GBU-31) w/SAASM/AJ. 2,000 pound penetrator version with jam-resistant GPS guidance. The F-35A request orders more of these JDAM kits, but none of the other types. 4 JDAM BLU-109 Load Build Trainers. Defense Industry Daily texts ends here. As Defense Industry Daily notes, the F-15SE weapons package favors GPS guided JDAMs over the laser guided GBU-12 Paveway II. 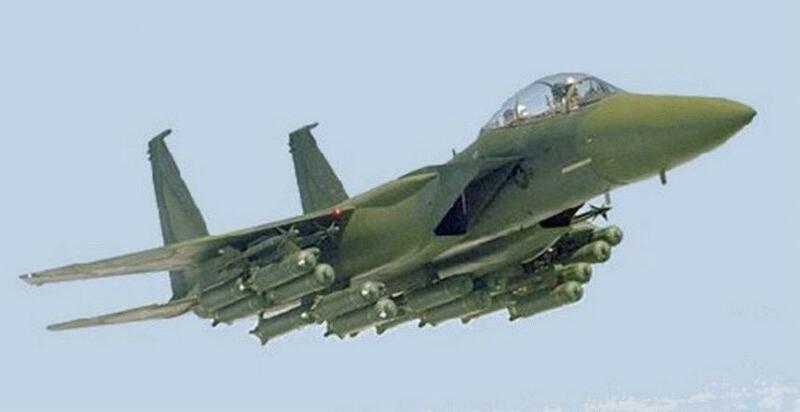 Both packages include multiple bunker busting munitions such as the BLU-109 and SDB I. The video below shows a standard rocket sled test to demonstrate the penetration capabilities of the BLU-109. The rockets replicate impact velocity of the bomb from high altitude. The BLU-109 can be fitted with the standard 2,000 pound class JDAM tail kit to turn the BLU-109 into an accurate GPS guided munition. Despite its relatively modest size, the small diameter bomb (SDB) I is capable of penetrating five feet of steel reinforced concrete (Air Power Australia, 2007). The sheer number of hardened sites within North Korea makes the 285 pound SDB I a desirable weapon as four SDBs can be carried on a rack for every one 2,000 pound class weapon. The strike eagle could accommodate at least 20 GBU-39/B SDB I bombs externally and a maximum of eight within the conformal fuel tanks during stealth missions if no other weapons are equipped internally (note: the strike eagle cannot carry both internal and external SDBs simultaneously as conformal weapons bay doors would be blocked). The Boeing demonstration model above demonstrates the immense variability of weapon types the strike eagle can carry. On the left conformal fuel tank, eight GBU-39/Bs are stored. Station five (the center-line currently carrying a Mk 84 2,000 lb bomb) can carry four SDBs. On the right conformal fuel tank, laser JDAMs are equiped. Also note the new outer wing weapon pylon stations. The Article will be continued in Part III. F-15E loaded with cluster munitions in its original European I camouflage pattern. The standard gunship grey camouflage pattern was adopted latter. Image retrieved via Federation of American Scientists. Hey Matt, I would like to hear your thoughts on how South Korea would be able to defend the city of Seoul if North Korea ever dares to launch massive rockets & artillery barrages causing mayhem into the city? I think those pose as much of a threat than dealing with the North Korean nuclear programs and their obsolete air force. Here are my thoughts though, South Korea should purchase a number of more tactical missile systems like the MGM-140 ATACMS with guided-cluster munitions like the BAT (Brilliant Anti-Tank) or each with thermobaric-warheads to take down a large chunk of the North Korean's Artillery/SCUD positions in quick response without having to risk sending your aircrafts deep into North Korea's air defense nodes while hunting for those artillery pieces. As well as buying a shitload of laser-based (Skyguard systems/Iron Beam) and missile anti-rocket & artillery interceptors (Iron Dome) along with the existing Patriot Missile Batteries soon to be upgraded to PAC-3 in order to reduce as much damage around Seoul as possible. Assuming that South Korea has enough budget to do so, that's the best they could do if they will not risk having a WMD deterrence against the North. Could this be done as I suggested? What about yours? The problem with iron dome and other interceptor systems is that the cost of the interceptor is significantly greater than the projectile or missile you wish to intercept. When North Korea could theoretically fire 500,000 shells at Seoul in an hour (though that estimate is likely exaggerated) and you only have at best a few hundred interceptors, any defense will be minimally effective in that respect. The Israeli's only launch interceptors if the system calculates the projectile will land in a populated area which is feasible for much of Israel but not the highly densely populated city of Seoul. At best, you could protect government sites within the city. The PAC-3 and other SK missile defense systems provide a peace of mind and limited ability to hit large missiles such as their Scud variants. SK can never cost effectively intercept the majority of incoming projectiles. I do think the ATACMS is a formidable weapon and will be useful in counter strikes but that requires major ISR capabilities which SK currently has problems with. One of the major deficiencies of the South Korean military is its ISR capabilities which would be required to provide targeting information for counter strikes. You can't hit what you can't see especially when your targets are highly mobile and shifting between hardened positions. Right now, South Korea relies heavily on the US to provide the required ISR information. I think the move to increase South Korea's sea based deterrence via the The Hyunmu-3 cruise missile is wise. The number one objective of the NK military is to ensure the survival of the Kim family rule, they will not jeopardize war if they will realistically fail that objective regardless of how provocative their comments might be. I wonder, how mobile are the NK's artillery and rocket systems? Do most of these artillery systems even work properly most of the time? Though there are some that are being protected by hardened bunkers. So what are the odds for SK and U.S Forces to take out most of these rockets and artillery pieces firsthand before the NK has the chance to fire off most of them to the city of Seoul? As suggested earlier on, build a large number of ATACMS with BAT guided-cluster munitions or thermobaric warheads for quicker response than sending in your aircrafts deep into NK's IADS to hunt down the SCUDs/Artillery pieces. I know that South Korea has already build a number of domestically-built cruise missiles of their own already that can hit anywhere in North Korea. If Iron Domes or Laser Interceptors won't cut it, what else can SK and the U.S do to reduce as much civilian causalities and damage to Seoul as possible from mass artillery barrages onto the city in the event of a possible conflict and retaliations from North Korea if it were to really happen? Just saying. I don't think that South Korea should have much of an issue to improve their own ISR capabilities in the future eventually. Or, they can just simply rely on the U.S for ISR support no problem. You are correct, the quality of maintenance and force preparedness is severely lacking within the NK military but its difficult to determine to what extent given the difficulty of collecting intelligence in NK. Its also difficult to guess how effective US and South Korean strikes would be in disabling NK artillery and rocket forces. I've read NK has to scavenge a lot of its own equipment to keep its forces operational as its status as an international pariah state has effectively cut of arms exports. As many of the conflicts resulting from the Arab Spring showed, many authoritarian leaders focus on accumulating large numbers of Soviet/Russian weapon systems but their militaries were internally weak and unprepared. NK knows this hence its shift toward increased use of asymmetric warfare via special operations forces, missile forces, artillery, sleeper agents, etc. I'm not an expert in city preparedness but I'd imagine Israel has adopted several techniques for reducing civilian casualties aside from Iron Dome within its cities e.g. shelters, advanced warning, etc. Passive techniques such as hardened structures should be combined with active techniques such as interceptors for maximum effect. However, the systemic problem is high population density of Seoul itself, all of these solutions mitigate damage but casualties are inevitable in an attack. While I believe that the NK IADS obviously won't pose a sufficient threat to the US and SK Air Force, but the question is how fast can they disable their IADS while at the same time NK fires off their artillery barrages into the city? Surgical air strikes aren't going to be enough, not in the short amount of time frame you have, you can't just let the NK fire away for hours while you play hunt the artillery similar to how the Coalition Forces during the Gulf War couldn't hunt down most of the SCUDs in time across the desert despite gaining absolute air supremacy to Saddam's forces. Which is why I suggest earlier on that SK should invest on building more tactical missile systems like the ATACMS with guided-cluster munitions (BAT or CBU-97/105 SFW) or each with thermobaric warheads to take out large chunk of the NK artillery pieces. Something that can be launched quickly and reach the target in minutes, and the North have no reasonable defence against. Though I would still considered buying several Iron Domes or laser interceptors to protect governmental sites and other important infrastructures surrounding the city as a bonus. I'm pretty sure that the US and SK are already working their way to improve their ISR capabilities in the future. >To that end, McDonald Douglas engineers were remarkably successful. The strike eagle can carry an impressive 24,250 pounds (10,999.8 KG) of externally carried ordinance. Have F-15e ever carried such payload in real life? But what is real-life maximum payload? By the way, Russian jets have much lover maximal payloads if you compare to aircraft empty weight and you can trace this since end of 1950s. Does they simply use different methods for giving maximal payload, or they 50 years behind in airframe technologies? For instance we can compare F-111 and Su-34. The 24,000 is the theoretical maximum but the practical maximum is constrained by the mission type and range which will be reduced if you increase payload. In Desert Storm, the link above says F-15E's rarely carried over 13,000 in air-to-ground ordinance combined with an additional 700-1,000 pounds of air-to-air. A 2008 RAND report cites the average distance between US airbases in the region to Iraqi targets in the Gulf War was 550 nautical miles. The two figures together provide an example of the practical trade off between payload and range. But in Russian designs are much more heavier, than their USA counterparts. Thus they should have thicker and more robust airframes. And for example SU-27 and F-15 are made from the same materials and materials are used in the same proportions. So such huge difference in payloads is very strange. Twitter: https://twitter.com/MJouppiAW The views expressed on American Innovation are entirely my own and do not represent anyone else. Red Flag 2012: Did the Raptor Seriously Just Get Owned?